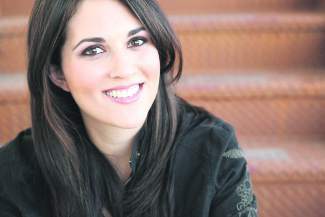 Christian rock/pop singer Julie Elias will perform Friday in Incline Village. Where: The Village Church, 736 McCourry Blvd. INCLINE VILLAGE, Nev. — This Friday, Christian music sensation Julie Elias will lead a festive and family friendly Christmas concert for the community. The evening at The Village Church will feature players from the Reno Philharmonic and guest soloist Justin Adams, a renown baritone and worship leader from Colorado Springs, Colo.
“Sing along with your favorite carols and enjoy exceptional performances as we celebrate this special time of year in an amazing community,” according to a news release from The Village Church. Visit julieeliasmusic.com to learn more.